We receive great pleasure in designing and styling for all occasions including weddings, shower teas, birthdays and corporate events. We specialise in boutique styling and love to take the time to discover who you are, what you love and what is important to you. 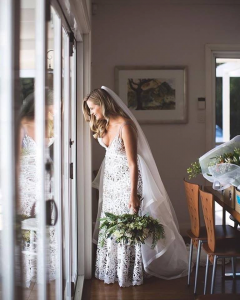 The dedicated team will ensure aspects of your personality are incorporated throughout the design to ensure your wedding or event reflects you. 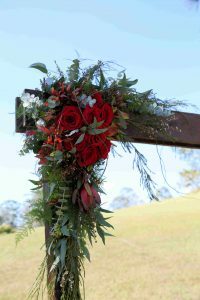 Karinya Florist combine over 25 years in floral design and decorating experience guaranteeing you attention to detail and a quality finish. 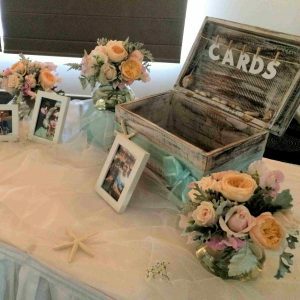 We have a large range of decor items available for Hire catering for DIY or we can perform the decorating and coordination for you. 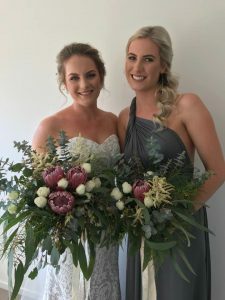 Karinya Florist are more than your Floral Designers, we can create your overall vision at the venue of your choice. Our wedding advice and ideas are imaginative, thoughtful and on trend and we love to meet brides and make their dream a reality. Arbour florals from corners to deluxe. 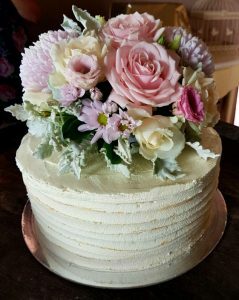 Wedding Cake Flowers. Cake created by Faye Andrews. 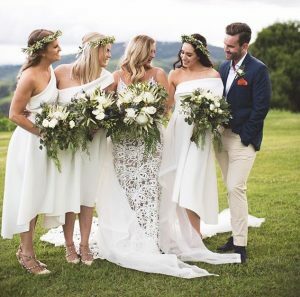 Fresh florals and placement by Karinya Florist. Wedding table styling by Karinya Florist. 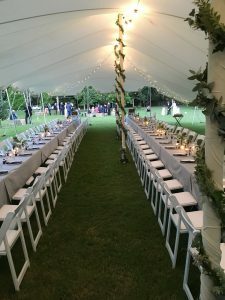 Marquee Styling and American Folding Chairs. 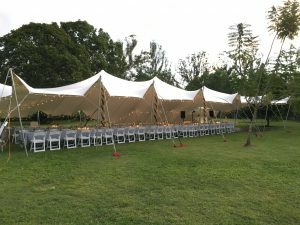 Let us organise your marquee hire. 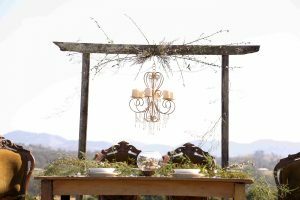 Rustic Luxe Arbour in a beautiful country setting. 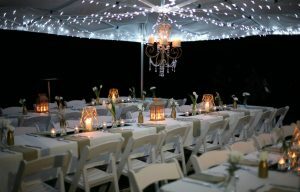 Styling and setup for an elegant birthday. Greenery Garlands and Ceiling Installations. Backdrop and Bridal Table Gunabul Homestead. 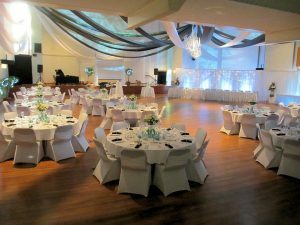 Full Wedding Styling and Decorating including ceiling draping. 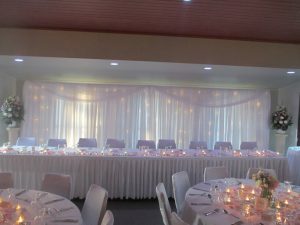 Wedding Decorating and Styling including Backdrop, skirting and garlands. 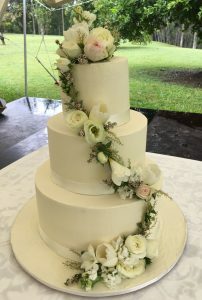 Custom fresh floral cake toppers. 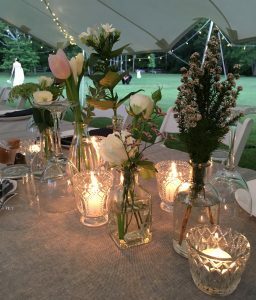 Custom arbours for DIY weddings. Chamber of Commerce Awards Styling with floral installations. 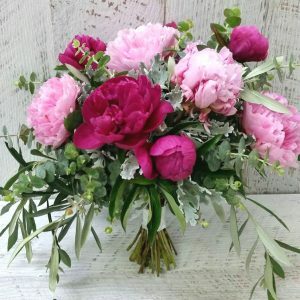 Wedding bouquets in a range of styles. 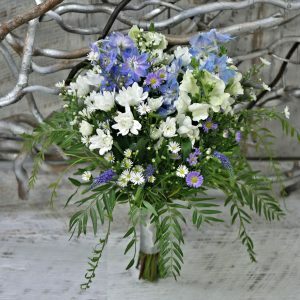 Wedding bouquets to suit any budget. 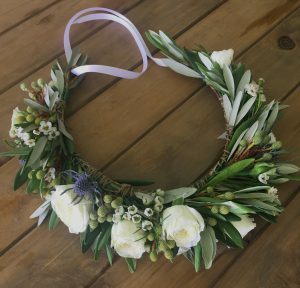 Floral crowns for weddings, baby showers, bridal showers, formals, photoshoots or any occasion. 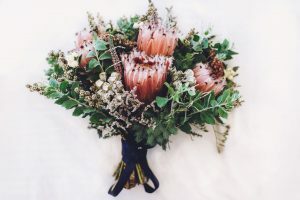 Native Bouquets are perfect for any occasion.